More like Father John Misty-eyed. 1. A customized New York Times front-page puzzle to let him know that he's A1 material. Get it from Uncommon Goods for $49.95. 2. A pillow massager with heat he can use when he's stuck in traffic after an especially long day at work. Promising review: "I just received this and I LOVE it. It adequately relieved the knots in my neck, the base of my skull, and my legs. 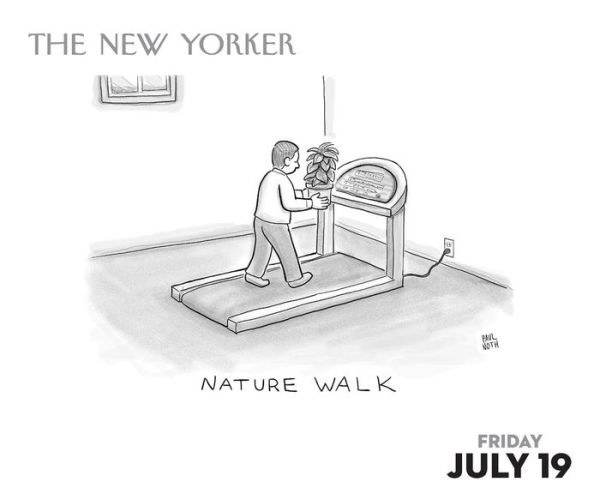 I'm going to try my feet also. I've been wanting something like this for quite some time and I'm thrilled with this product. This item definitely delivers. I highly recommend it. The price for this item given the relief provided is wonderful." —Stephanie T.
Get it from Amazon for $39.95. 3. The recently released Kindle Paperwhite for the bookish dad (who is potentially also accident prone). 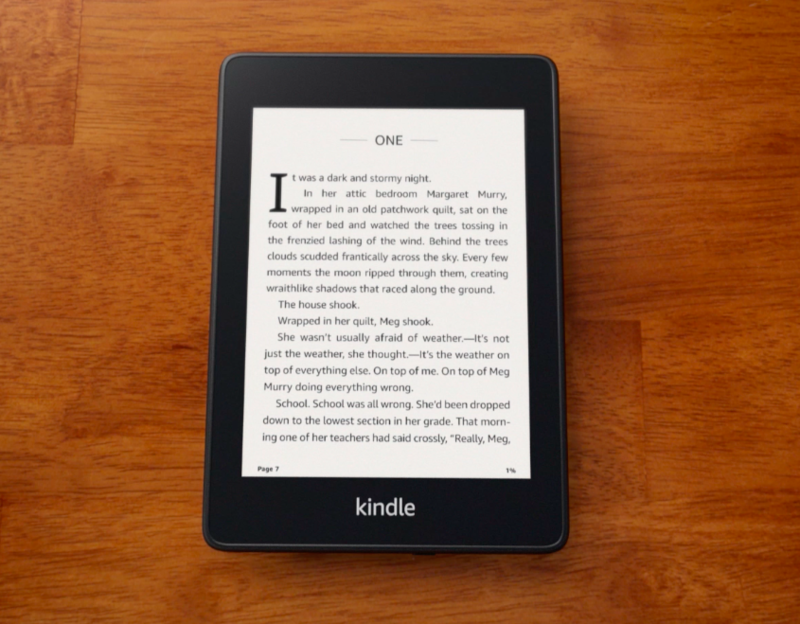 It's the thinnest and lightest Kindle Amazon has released to date! 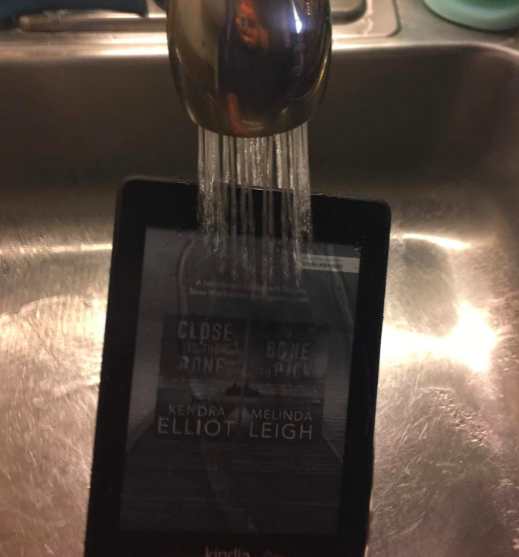 And — as is made abundantly clear by the photo above — it's 100% waterproof. Get it from Amazon for $129.99. Learn more about the 2018 waterproof Kindle Paperwhite in our full breakdown. 4. A pack of warm merino wool socks to get him through winter, comfortably. Get a five-pack from Amazon for $16.99 (available in eight colors/varietypacks). 5. A sleek amenity kit for the always-traveling-for-business dad who is one sleepless flight away from becoming Larry David. The kit includes a pair of foam ear plugs, a sleeping mask, slippers (with foam padding and synthetic suede outsole), and an inflatable neck pillow (with storage pouch). Get it from Amazon or NeedSupply for $30 (available in S/M and L/XL). 6. A brushed-twill baseball cap so he can hat tip his actual favorite child, the Volvo stationwagon. Get it from Amazon for $14.98. 7. A DIY hot sauce kit for the dad who should really just be making his own condiments at the rate he offers his feedback to restaurant servers. The kit includes gloves, sterilizing solution, a small funnel, bottle labels, and six 5 fl. oz. glass containers. Get it from Uncommon Goods for $34.95 or a similar kit from Amazon for $44.95. 8. A quality record player if you want to turn the tables on your dad and gift him a piece of his youth. Get it from Amazon for $229.99+ (available in black or silver). 9. And to go with that: Bruce Springsteen's newest vinyl box set (10xLPs spanning1987-1996) for the dad who only answers to one Boss. Get it from Amazon for $164.15. 10. A T-shirt that'll pay homage to the bone-chilling blue screen of death — classic techie-dad humor he'll surely appreciate. Get it from Amazon for $13.95 (available in sizes S-3XL). 11. A Philips sunrise simulation alarm clock for the dad who's forgotten there's an alternative to being jolted awake by a grating beep sound every morning. Get it from Amazon for $89.99. 12. A Dollar Shave Starter Kit that'll shave hours off your search for the perfect gift. Get a starter kit from Dollar Shave Club for $5 (includes four Executive razor cartridges, an Executive razor handle, the Sh*t, Shower & Shave trial kit, and The Bathroom Minutes magazine). 13. An acrylic Squatty Potty, because he's your number one and you wish him nothing but the best for his number twos. Get it from Amazon for $82.57. Find the acrylic a little too hip for your pooping needs? Check out the original Squatty Potty for $24.99. 14. A pair of Dr. Martens for the cool dad who will remind you he was repping this footwear brand ages before Hypebeast was a thing. Get them from NeedSupply for $220 (available in 7-12). 15. An indoor herb garden with an LED light kit that'll give him something to rave about, and/or eat, at the next family dinner. Get it from BuzzFeed's Goodful line, exclusively at Macy's for $189.99 (available in three colors). 16. A hiker subscription box for the dad who likes to hit the trails — but never before packing an awe-inspiring variety of organic granola bars. Each box includes two–three pieces of gear and three–six snacks for the trail. Get it from Cratejoy for $35/month (and use code MARKET at checkout for 10% off your first month!). 17. A portable hammock he can take with him and be the most enviable guy on the campsite. Get it from Amazon for $26.99 (available in khaki/grey, dark green, red/charcoal, and sky blue). 18. A water flosser for the dad whose idea of fun is responsible dental hygiene. 19. 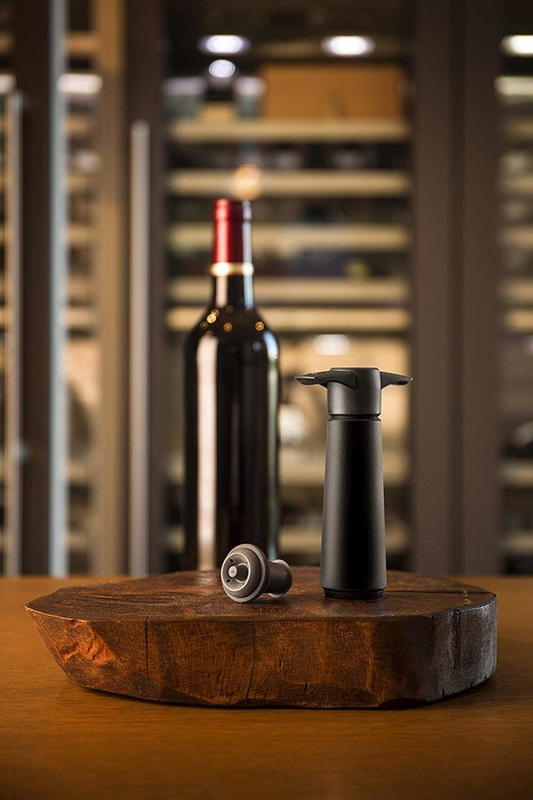 A wine saver with two vacuum stoppers so any leisurely drinker dad can hold onto his precious grapes for as long as he pleases. Get it from Amazon for $13.21 (available in eight varieties). 20. A pair of sworn-by performance Bluetooth headphones, perfect for the dad who can't go a day without his morning jog. Get them from Amazon for $29.97. 21. Michael Chabon's heartwarming essay collection Pops: Fatherhood in Pieces sure to get him a little verklempt with its reflections on what it means to be a dad. Get it from Amazon for $10.98. 22. 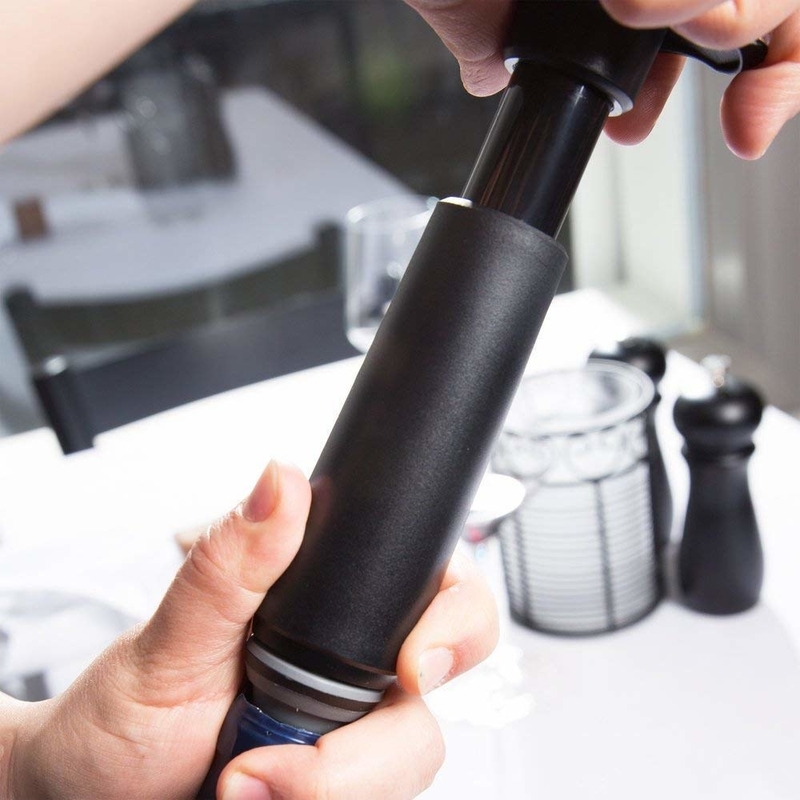 A Bluetooth-enabled sous vide precision cooker, because nothing gets a dad reeling quite like some perfectly cooked meats and/or veggies. Get it from Amazon for $123. 23. A minimalist travel tumbler for the dad who has an eye for good design. Get it from NeedSupply for $38. 24. 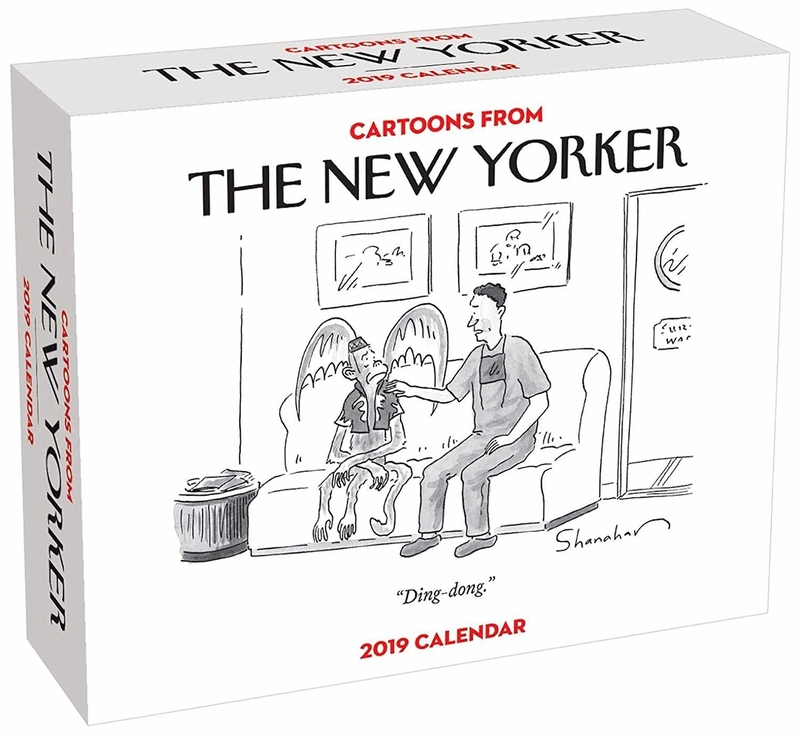 And a 2019 New Yorker cartoon calendar so your high-brow dad can start every day with a chuckle. Get it from Amazon for $10.39. Is your dad ready for the quality gifts that are in store for him? No he is not. Looking for the perfect gift for any occasion? Check out all of BuzzFeed's Gift Guides!